Finding it a struggle to reach, stretch and bend? If simple tasks are no longer so easy 'Reach it Grab it' is the perfect solution. It's firm and accurate grip, allows you to pick almost anything, in fact its so accurate it can pick up a cent! The best multi-purpose reacher grabber that gives you the easy way to pick up and clean up! • Improves quality of life for people with back pain including spinal injuries, arthritis, knee, hip and joint pain that would otherwise be too difficult or too painful. • Picking up objects dropped/lost in tight spaces can be difficult even when using a normal reaching aid. Our 'Reach it Grab it' has a swivel head, that offers a full 90 degree turning angle, almost anywhere is accessible. In just love my new Reach it Grab it! This gives me the ease to reach and grab what I need in high places,It has a comfortable handle made of rubber and silicone jaws that enables you to grab and holds without releasing it by providing a firm hold. 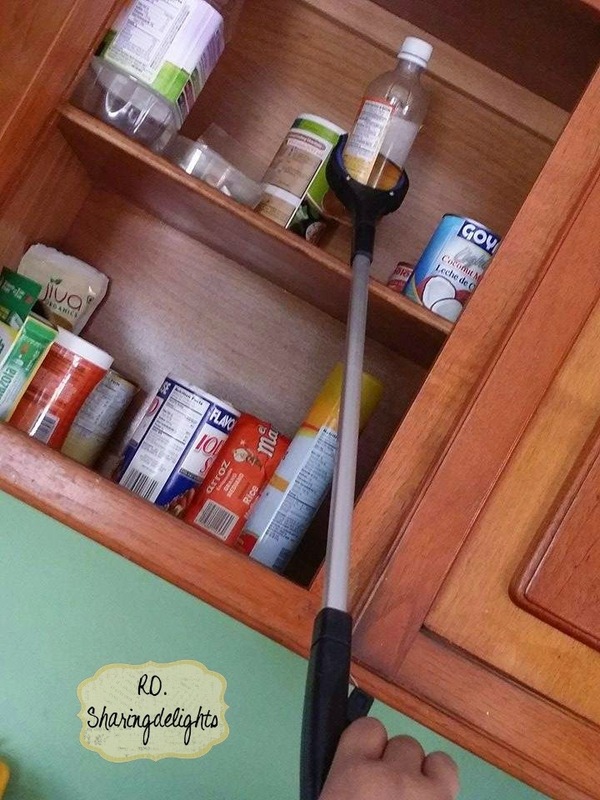 This Reach it Grab it' has a swivel head, that offers a full 90 degree turning angle, no more climbing on my kitchen counter top to get items from the last shelve this Reach it Gab it is almost anywhere is accessible,outdoors and indoors..I recommend it! Looking to purchase this great product..just head on over to amazon! Great review, I love this thing. This would be perfect for me as I am short and have a hard time reaching things in the higher up cupboards. 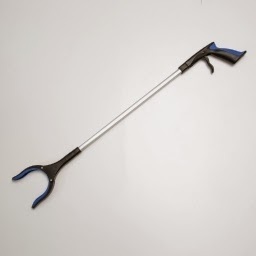 I would like a grabber - I always seem to be dropping things in hard to reach places (behind my desk, behind the dresser) and a grabber would be so helpful!